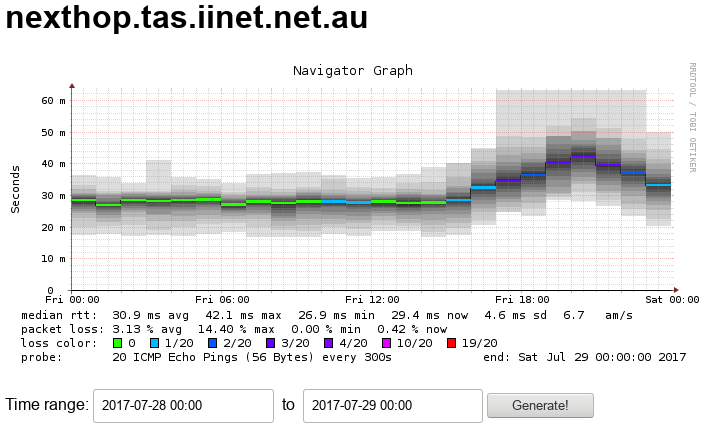 It occurs to me that I never wrote up the end result of the support ticket I opened with iiNet after discovering significant evening packet loss on our fixed wireless NBN connection in August 2017. The whole saga took about a month. 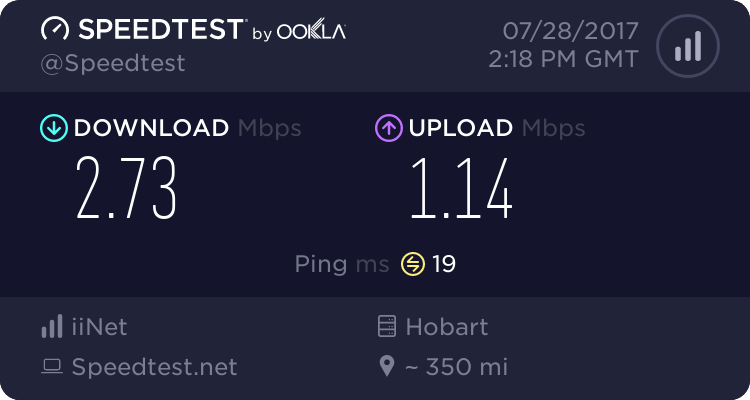 I was asked to run a battery of tests (ping, traceroute, file download and speedtest, from a laptop plugged directly into the NTD) three times a day for three days, then send all the results in so that a fault could be lodged. I did this, but somehow there was a delay in the results being communicated, so that by the time someone actually looked at them, they were considered stale, and I had to run the whole set of tests all over again. 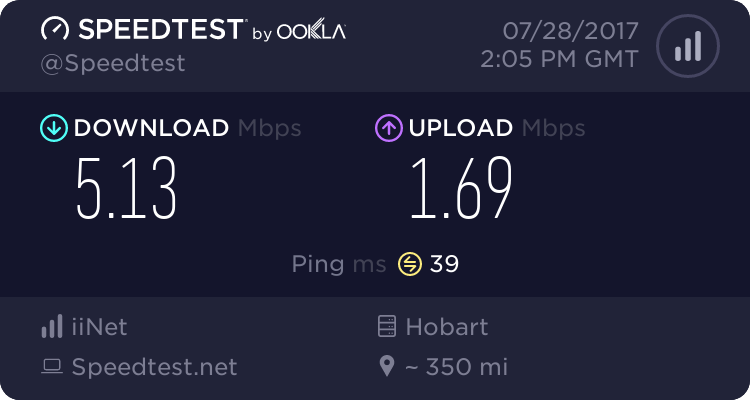 It’s a good thing I work from home, because otherwise there’s no way it would be possible to spend half an hour three times a day running tests like this. 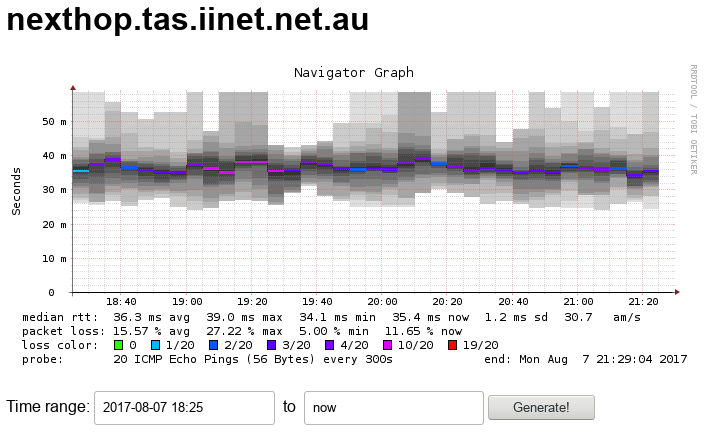 Having finally demonstrated significant evening slowdowns, a fault was lodged, and eventually NBN Co admitted that there was congestion in the evenings. I made these back in August 2016 (complete with lovingly hand-drawn thumb and middle finger icons), but it seems appropriate to share them again now. The images are CC-BY-SA, so go nuts, or you can grab them in sticker form from Redbubble.